Wine of Italy.The beautiful mountainous region of Abruzzo sits on the Adriatic coast in an area where it is believed grapes have been grown since the 6th Century. So it's no surprise to find that winemakers here have perfected their art, and this Montepulciano is one of their classics. 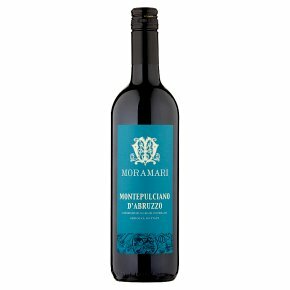 Bursting with juicy flavours of plums, cherries and a hint of spice, this is the perfect wine to serve with typical Italian cuisine such as Spaghetti Bolognese and other meaty pasta dishes.